With over half of the year having passed us, now would seem a good point to review how things are in the market currently and what the future may bring for the Aberdeen rental market. It is true to say that it has been a turbulent time recently, with around a 20% drop in average rental prices and more properties being available on the market than ever before due mainly to the drop in oil price and resultant effects which have affected the Aberdeen economy as a whole. Previously in the year the higher end of the market was very slow and was heaviest hit in terms of price drop. A property we most recently listed in Bieldside with 4 bedrooms was let within 20 days with several interested parties. At the other end of the scale we have recently let several one bedroom properties within a week of listing showing that the one-bedroom market still has strong demand albeit at a new price level than previously experienced. With regard to the future only time will tell what the next six months will bring for the Aberdeen rental market and the economy in general with various factors still causing a measure of uncertainty. What can be reflected on is that there are definite signs of improvement in terms of demand, price stability and time to let and perhaps we have seen the end of the sharp drop in prices and the new norm has begun to set in for Aberdeen. 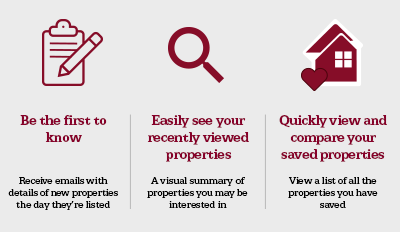 For more advice on rental properties or to discuss your current portfolio, don’t hesitate to get in touch with the team at Northwood Aberdeen.